Sometimes, something amazing will drop into my inbox. Over and above the 15% ASOS discount for my birthday (although let’s not lie, I totally used that) and the general newsletter nonsense that I forget I’ve subscribed to, there is an email to stop me in my tracks, throw down my phone and do a happy dance in my chair. And that’s how I began my journey with Lumos. You probably know Lumos as the light-giving spell in Harry Potter and that is exactly what the charity of the same name does for orphans across the world. J.K. Rowling’s foundation was set up to help kids out there who live in appalling conditions, away from their families, and give their lives some light by placing them into loving, caring homes. I was invited to a breakfast presentation at The Hospital Club to hear more and was horrified to find out that there are 8 million children in orphanages. That’s basically the population of London (and it’s pretty damn busy here). 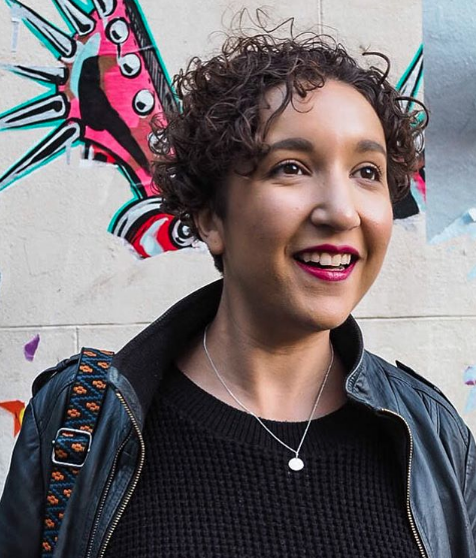 When I hear the word ‘orphanage’ I think of Tracy Beaker and the Dumping Ground; a place where children are taken away from a home that is unsafe, potentially where they’ve suffered emotional and/or physical abuse from their ‘carers’. Around the world it could not be more different. A staggering 80% of children are in orphanages because their parents simply cannot afford to keep them at home, through poverty or disability. They genuinely think that they are giving their children a better life. 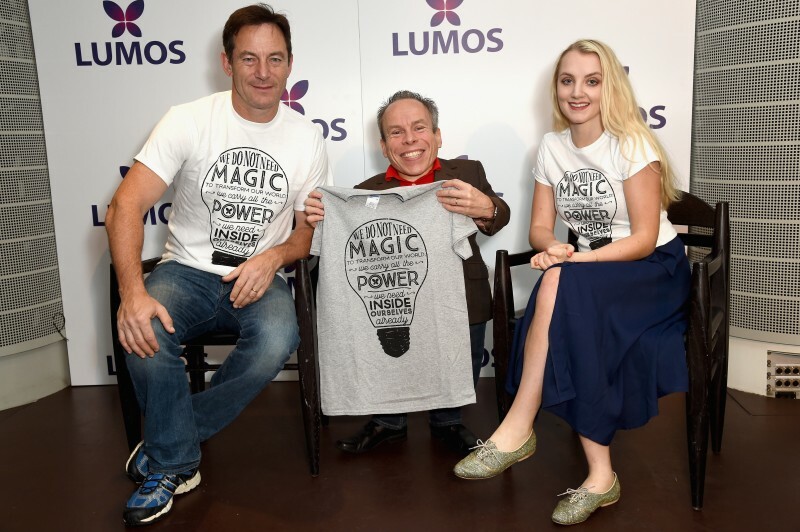 We were lucky enough to hear the on-the-ground experiences from Harry Potter stars Evanna Lynch, Warwick Davies and Jason Isaacs, as well as Georgette Mulheir and Billy DiMichele who chair Lumos in the UK and the US respectively. They spoke of a disabled man in his 40s, still living in an orphanage in Moldova because he simply cannot get care or housing elsewhere. The story of children in Haiti who have been taken from their families as a money-making opportunity for crooks riding on the misfortune of earthquake victims. They know that the international community will give them aid, but that money so rarely goes to the children – instead it lines the pockets of monsters. And let’s be honest, that’s not a word to use lightly. Lumos are going to these places and either reconnecting children with their families or placing them with loving, caring guardians. They are even helping to retrain and re-place the staff at these orphanages; fully aware that they need jobs and most of the time they really are doing their best for the children in their care. It was asked: so, how can we help? Which is a fair question when I know people who have volunteered at orphanages in the past. They’re already trying to help but is there something more that we could be doing? 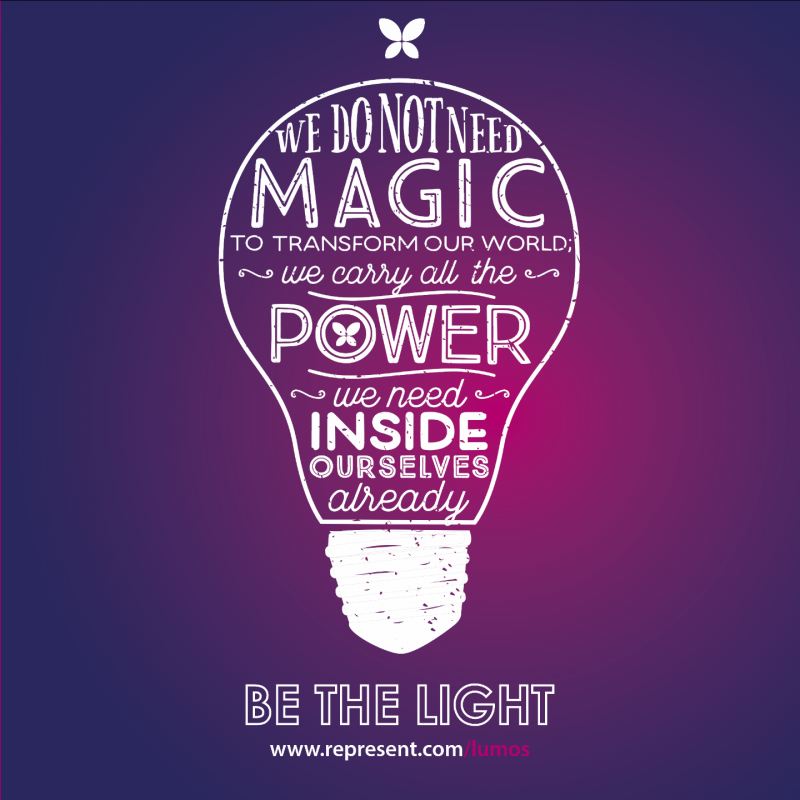 The answer: spread the word about Lumos. Whether it’s telling their story, donating money or buying one of the awesome t-shirts we’re wearing in the pic below. I feel there are a lot of skepticism about charities, with donations paying for overheads and the little guys never getting a cut. 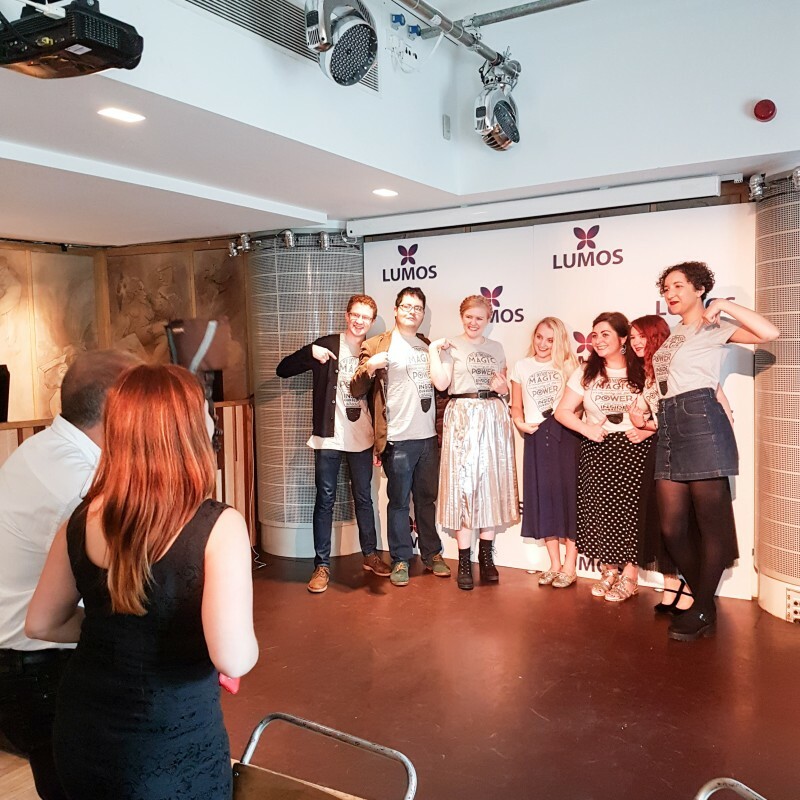 However, J.K. Rowling told us at a gala preview of Harry Potter and the Cursed Child, that she covers all costs for Lumos, meaning 100% of donations go towards the cause at hand. I read the other day that she is the first person to be demoted from a billionaire status because of her charitable contributions. If I wasn’t emotional enough about going to see the play for the second time, this tipped it for me (you can see my spoiler-free thoughts on the play in my previous post here). I’m already thankful enough to J.K. Rowling for bringing the light to my own childhood with the beautiful Harry Potter books, but knowing that I can help her do the same for millions of children across the world is something incredibly special. Thank you to Lumos for asking me to be an ambassador for their charity. I have not been paid for this post, or any of the upcoming work I will be doing with them.